Oscar Jacobson’s autumn/winter 2017 collection hits the performance mark like never before thanks to innovative technologies like the new ZIP-IN system and ever-popular Primaloft®, both of which are features of the excellent Caleb vest. As an outer or mid-layer, Caleb delivers versatile protection together with Oscar Jacobson’s renowned Scandinavian style. Caleb is a lightweight vest in a semi dull, woven fabric with an insulating Primaloft® padding, which works equally well on its own on cooler, dry winter days but also performs under a jacket when the rain comes down or the cold wind whips. Featuring ZIP-IN technology, Caleb can be combined and zipped in with the wind and rain-proof Lawrie Pro jacket for the ultimate in protection against the elements. Available in a range of colours, including a camouflage pattern, Caleb is one of the most versatile pieces in Oscar Jacobson’s AW17 collection; with its subtle branding offering use beyond the golf course. The ingenious new ZIP-IN system from Oscar Jacobson cleverly combines a wind- or rainproof outer layer – the new Lawrie Pro three-layer waterproof jacket – with different insulating mid-layers to help when the temperature drops, from the new Primaloft ® padded Brick jacket and Caleb vest, to the Kerry stretch fleece zipped cardigan. The autumn/winter 2017 collection from Oscar Jacobson will perfectly prepare any golfer to meet the demands of off-season golf with an ideal blend of performance, function and style. 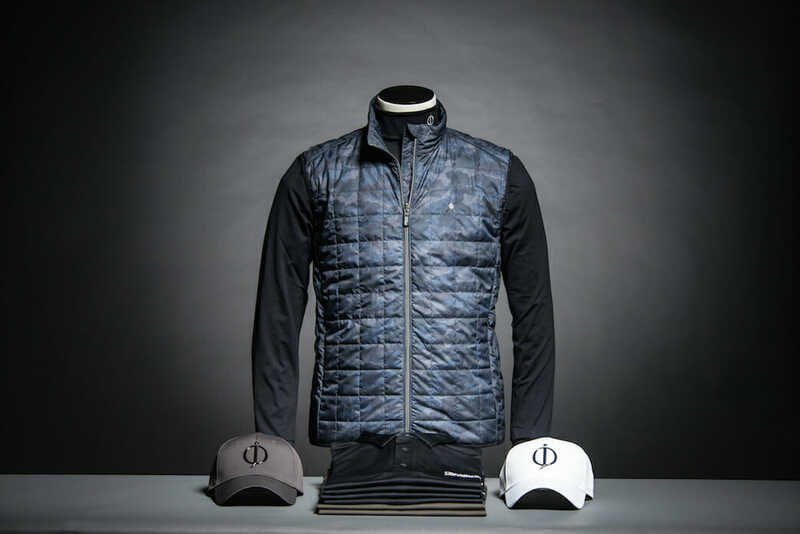 To find out more about Oscar Jacobson and its autumn/winter 2017 golf collection, please visit www.oscarjacobson.com.